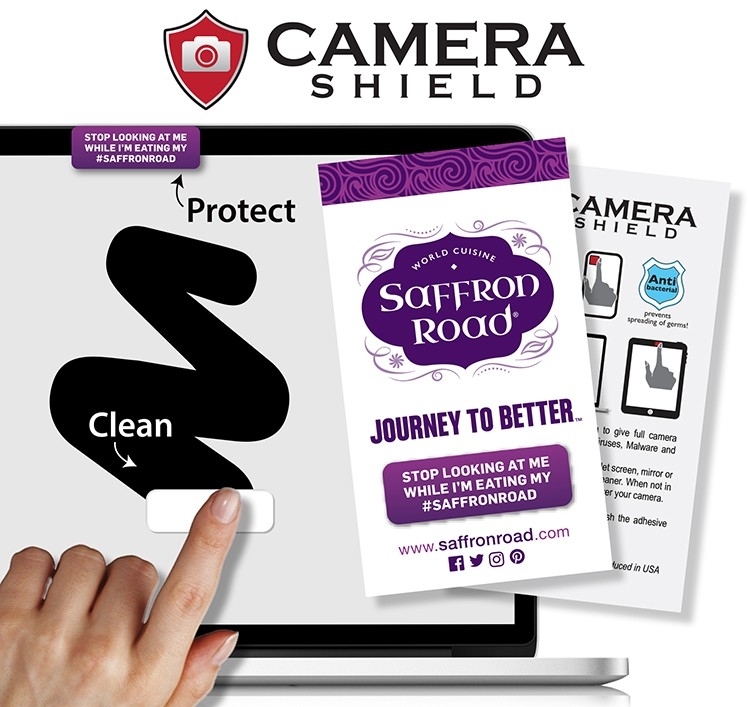 Camera Shield Wipe Sticks over front camera to block your phone camera and give full camera protection against Spy-ware, Viruses, Mal-ware and Surveillance. Wipe and clean your phone / tablet screen, mirror or lens with the fabric side of the cleaner. When not in use, stick and store the digiclean over your camera. Reusable thousands of times! To rejuvenate adhesive simply wash the adhesive side with mild soap and warm water. Also known as web blocker, digi wipe, micro wipe. Clean, wipe, and stick.